Manchester United manager Jose Mourinho has stated that star striker Romelu Lukaku probably needs a new boot deal in order to return back to his goalscoring ways. 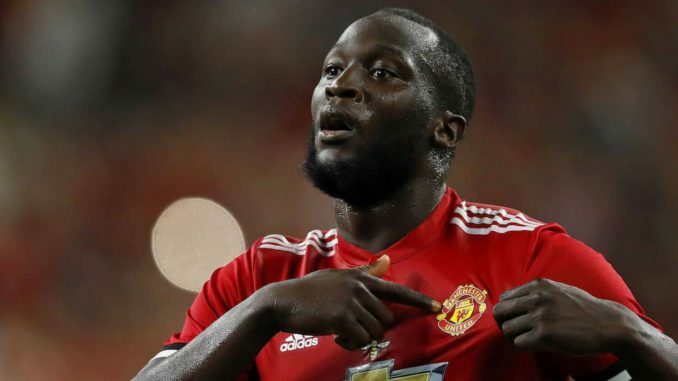 In the day and age when advertisers look to take advantage of every possible method of marketing their respective brands by associating themselves with popular football teams as well as players, it is certainly surprising to see that a high profile star such as Romelu Lukaku is not sponsored by any major football boot company. This fact was apparent during Manchester United’s 4-2 victory over Watford at Vicarage Road as Lukaku featured in the encounter wearing peculiar black boots – which appeared to be a blackout version of the new Nike Mercurial Vapor studs that will be launched ahead of next summer’s World Cup finals. In the previous encounter against Brighton over the weekend though, Lukaku had worn white adidas X boots and his less than impressive looking footwear during the clash with Watford caught the eye of many. Even manager Jose Mourinho was questioned regarding Lukaku’s choice of boot on Tuesday night and the Portuguese boss jokingly replied that the striker now needs a permanent boot deal in order to get himself back to his goalscoring best – alluding to the fact that the striker has scored only once in the last seven Premier League encounters. Mourinho said, “I think he needs a big contract with boots because at this moment he doesn’t have a deal with any brand – that’s why he is playing with black boots.